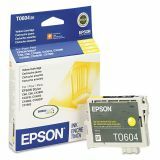 Epson T060420 (60) DURABrite Ink, Yellow - Ink cartridge is designed for use with Epson Stylus C68, C88, C88 Plus, CX3800, CX3810, CX4200, CX4800, CX5800F and CX7800. DURABrite Ultra inks produce bold black text and rich, vibrant colors. They also offer superior resistance to water, fading and smudging. 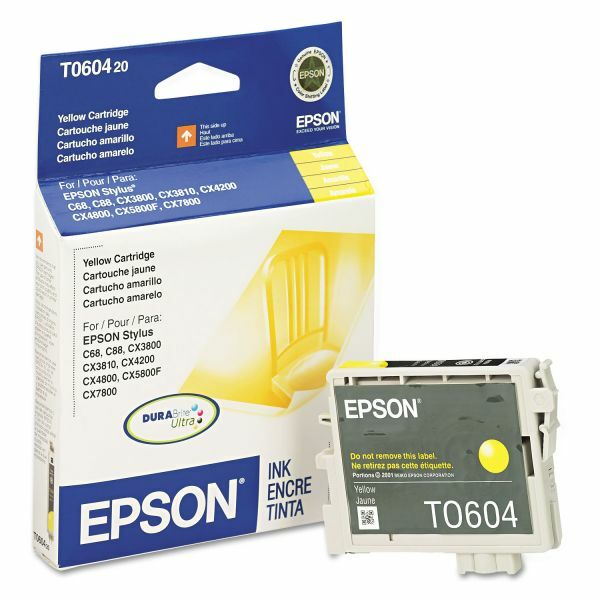 Ink cartridge is excellent for double-sided printing because DURABrite Ultra ink doesn't bleed through.